When you don't have any job openings to share, you may decide to stop recruiting or communicating with potential candidates. While you may not have an active job listing, recruiting is a process that should never end. When you continuously connect with potential candidates, you can fill positions more effectively when they do pop up. Instead of starting and stopping the recruiting process, we are going to share some helpful tips and tricks for communicating with candidates between job openings today. Before you create your communication plan, you need to get clear on your hiring goals for the next few years. Without clear hiring goals, it will be impossible to sustain your communication with potential candidates. You want to look to the future, so you know what kind of candidates to communicate with and why. Consider your short and long-term hiring goals. Gather this information from all the departments you are in charge of hiring for. What Are Your Typical Turnover Rates? In the jobs that you typically recruit for, what are the typical turnover rates? If your customer service department has a high turnover rate, you will need to focus on communicating with customer service representatives as you build out your communication strategy. Analyzing turnover rates isn't expecting your employees to fail. Instead, you are using historical data to predict the kinds of employees you'll need to hire. Preparation is vital, especially if you are filling roles. What Positions Do You Plan To Add/Or Add More Of? On top of the roles you need to refill, think about the functions you want to add to your company. Do you want to hire 20 more people to your sales team over the next five years? Are you interested in hiring a completely different role in your company to produce a podcast? What do your future employees do? We've talked about the power of creating a potential candidate database before. Check out our post on every step you need to take to produce that database. A database is critical because it allows you to communicate with potential candidates easily while making it simpler to hire once roles open up. While you have some free time from hiring, it's the perfect time to organize your candidate information into a database. Communicating with your candidate database is an integral part of the equation. These are people that you want to prime for working at your company. Schedule out regular communication with your database throughout the year. You shouldn't go radio silent when you don't have a job position open, because you want to keep your company top of mind for people who are in your database. Utilizing social media and content marketing is a great way to communicate with potential candidates and build a connection with them. Creating a mini-site dedicated to hiring and connecting with potential candidates is a fantastic way to stand out. Create content, spotlight your employees, and forge those deeper connections online. Take a page from companies like HP, Disney, and Home Depot. These companies all utilize social media to tell their brand story and connect with new candidates. Not only that, but their career social media sites all link out to websites dedicated to joining their company. These websites share ways to apply for open positions, content geared at life with their company, and employee spotlights. Sometimes you never know what you are looking for until you see it. Allowing candidates to submit general applications will save you time and build your candidate database in the process. Most sites that will enable you to accept applications let you take general job applications. Create a general application that allows you to get to know your candidates and communicate further with the right people. Once you receive a general application, go through it. Would you like to learn more about that person and potentially hire them in the future? If so, keep in contact with that candidate and let them know that you will be in touch with more information as you open up more positions in your company. Last, it's essential to expand your network through hosting and attending recruiting events. Even when you are not actively searching for an employee to fill a job opening, you should be networking. 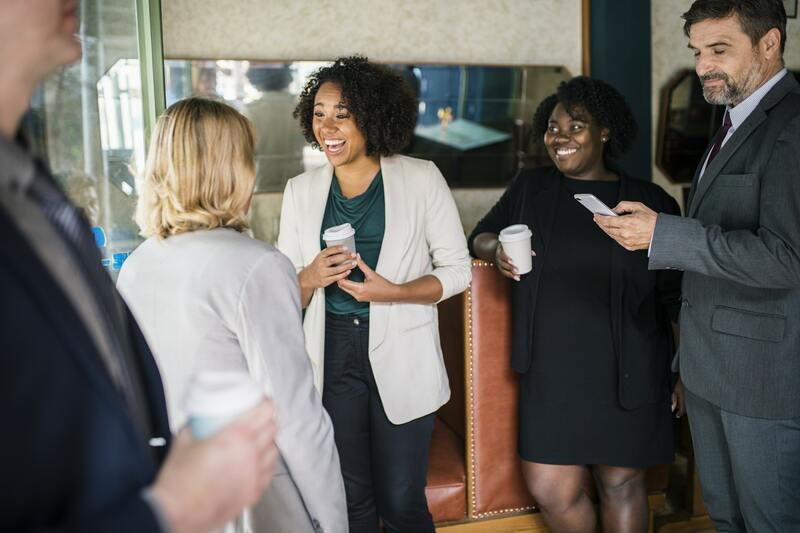 Attend all the events that you can that allow you to connect with new people and grow your potential candidate database. If you are hosting an event, invite members of your potential candidate database to the event. Inviting members of your database will give you a chance to forge deeper connections and get to know the candidates you like even more. The war for talent is more noticeable now than ever before. With record low unemployment rates, we have to be on the lookout for talent at all times. When you stop recruiting due to a lack of job openings, you limit your potential when an opening presents itself. As long as you are open and honest with potential candidates about the status of your open positions, recruiting and keeping in touch with candidates between positions should not be an issue. Are you ready to open the lines of communication with potential candidates? Learn more about how to optimize your candidate experience by downloading our white paper today!